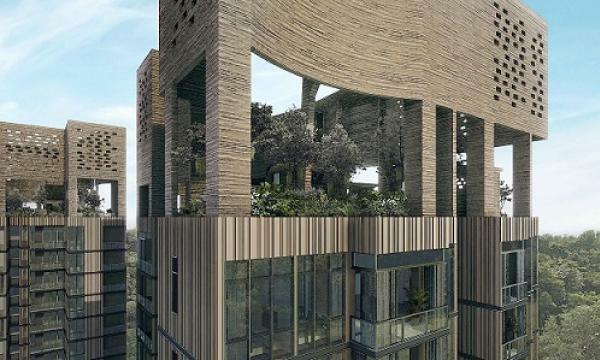 Existing launches like Martin Modern and Affinity at Serangoon were offering an additional 5% discount for buyers who committed to purchases on July 5. The announcement of higher Additional Buyer Stamp Duty (ABSD) rates and higher loan-to-value (LTV) limits on private homes came as a shock to home buyers, developers, and market watchers. Stocks of some of the largest property companies have been down at today’s trading open. CapitaLand opened -3.14% at $3.10, City Developments opened -15.7% at $9.90, UOL Group opened -12.26% at $6.98, whilst newly listed PropNex opened -7.97% at 63.5 cents. These stocks continue to decline as of writing. These price movements exceeded the expectations of RHB Research analyst Vijay Natajaran who said in a report that stocks are likely to see a 5-10% price correction. “We are of the view that this unexpected negative surprise will spook the property market,” he said. Natajaran added that the timing of the move “clearly caught us and many market watchers by surprise.” He noted that property prices have only recovered by 9% over the last four quarters and is still 4% below peak 2013 levels. This decision has also immediately affected upcoming and recent home launches. “Developers’ immediate reaction could be to rush forward their launches and target more first-time buyers by reducing unit sizes and giving additional perks,” Natajaran explained. Also read: Should Singapore's housing market anticipate more cooling measures? The analyst found that upcoming new launches Riverfront Residences, Park Colonial, and Stirling Residences – which were supposed to commence their sales over the coming weekends – were brought forward last night. “Many buyers were seen thronging the show flats in order to rush and submit their purchases before the 6 July deadline,” he said. Existing launches like Martin Modern and Affinity at Serangoon – were offering an additional 5% discounts for buyers who committed to purchases last night. “We deem this set of demand-side measures as ‘very stringent’ and a pre-emptive one, which will have a negative effect on buying sentiment, as well as slowing down property demand and prices in the near term,” the analyst added. Lewis Ng, chief business officer of PropertyGuru Group, concurred with Natajaran’s forecast and said the revision to ABSD rates is likely to lead to a slowdown in the recovery of the private property market. “For a second property buyer looking to buy a 1 million dollar unit, this will translate to an additional $50,000 in cash, and a total stamp duty outlay of $144,600, including buyer's stamp duty,” he noted. Meanwhile, OCBC Investment Research analyst Andy Wong Teck Ching said the situation is outside of their base case and noted that the property sector, using the FTSE ST Real Estate Holding & Development Index (FSTREH) as a benchmark, has returned negative total returns of 4.8% YTD, underperforming the STI (-2.6%). Based on the previous comprehensive package of cooling measures introduced in January 2013, the FSTREH declined by up to ~26% after approximately 37 months (February 2016), with the next day following the announcement closing at -4.0%. “Coupled with the current macro uncertainties, near-term sentiment would be highly likely to sour,” Wong added. DBS Equity Research analyst Derek Tan noted that developers have committed more than $30b into the residential market on over more than 70 sites in the en bloc market and government land sales (GLS) programme over the past two years. This translates to over 37,000 new un-launched units in the pipeline. “We believe that we have seen the end of the current en bloc cycle,” he said. The revised ABSD rates raise the capital commitment needed by developers to grow their land bank. The analyst added that the immediate strategy for developers with upcoming launches will be to re-look at their pricing and launch strategy. Meanwhile, Natajaran argued that whilst the property market will be spooked by this decision, the measures target investment and speculative demand and could impact the high-end segment more. Foreign demand – although still small at ~6% (1Q2018) – accounts for bulk of demand in the high-end segment, or around 30-60%. “Thus, we expect the high-end segment to see a bigger impact when compared to the mass market and mid-tier segments, which comprise more of first-time buyers,” Natajaran added.